ELIZABETH, NJ—In an effort to broaden the search to as many potential eyewitnesses as possible, officials from the U.S. Fish and Wildlife Service on Thursday released photos of a missing perch. “With the hope of bringing this fish back home safe as soon as possible, we are making public these photos of the perch as it looked right before it went missing just over 48 hours ago,” said director Daniel M. Ashe, describing the yellow perch in the photos as 1 foot long and weighing 1.5 pounds with paired sets of pectoral and pelvic fins, and distinctive stripes along its back and sides. “The fish was last seen several days ago in a small pond before it apparently was separated from its school. It is known to be more active around dusk and enjoys mayfly larvae. 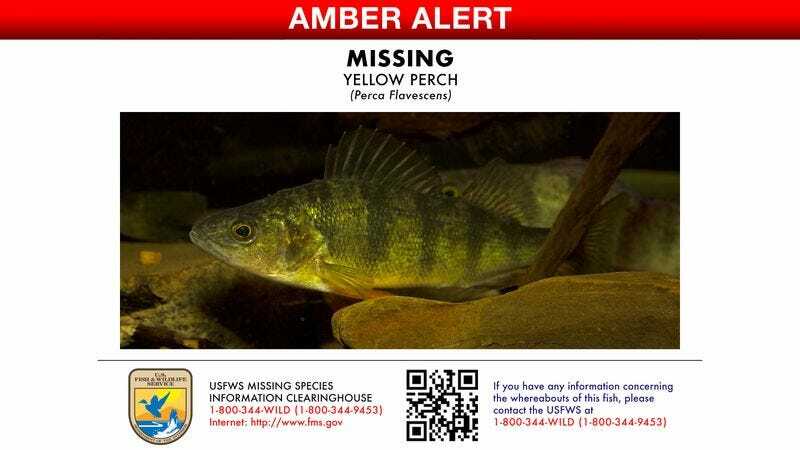 If you have any information regarding its whereabouts, please contact your local Fish and Wildlife department.” At press time, the agency was facing withering criticism after the perch had still not been found while a bluegill and a lake trout from the area had both vanished without a trace.